H - 199, 3rd Floor, Sector-63, Noida - 201301, UP, India. As a professional real estate consulting company, we are associated with more than 25 reputed realty developers across the country. 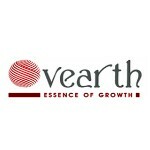 Ovearth houses a dedicated team of expert consultants and associates who have years of experience when it comes to property consultation and sales. We are well known to render quality based real estate services such as property consultancy, real estate portfolio management, HNI and NRI real estate services and solutions, home loan assistance, property documentation, project updates, rentals and re-sale. With our unique contemporary style and total passion for connecting people with property, we aspire to provide the ultimate real estate experience for today’s modern consumer. We are not confined by traditional real estate boundaries when it comes to buying, selling, or leasing; instead we are always finding new and innovative ways to satisfy our clients’ needs and be at the forefront of the Noida property market. We offer market leading initiatives such as a proven and highly successful marketing plan based on what we know works. This knowledge comes from over 75 years of combined industry experience. In addition, we provide consulting services such as project feasibility reports, marketing strategy, and product mix reports to real estate developers.